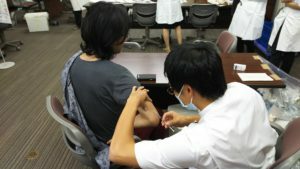 5th Student Doctor(SD) were injected influenza. About 2000 people received injections in three days. © Center for Education in Medicine and Health Sciences.